The instinct of any dog makes it obey the authority. This authority can be either the alpha male leader of the pack to which a dog or a human belongs. Dogs are born with an instinctive sense of pack mentality. They are guided by an instinct when they want to know their status in the pack. Therefore, knowledge of their specific place in the hierarchy makes them calm and helps maintain stability to the entire system. When joining a new group, any dog will automatically detect the leader and his subordinates. It's up to the dog's owner as pack leader to set rules and limitations for his dog. You should show your dog its place in the family and provide clear guidelines that can be done and what can not. And the most important aspect of your dog training is the ability to anticipate the actions of your dog. 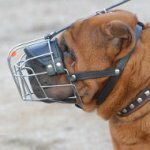 Let's go beyond the popular principle of modern dog training "promote desired while ignoring unwanted", let's explore other ways of dog training. As you know, dogs never use human elements of punishment, but they teach the younger members of the community with the help of authoritative growl, a body language and certain touches. You should never yell, kick or hit any dog. Your dog will not understand it. Such methods will only create an aggressive or fearful dog in the long run. Keep in mind that in a natural environment, you will never see the violation when the youngest member of the pack is at the top position, nothing is ignored here, on the contrary, it is corrected at once! 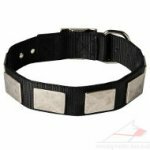 The most effective training collar designed by people for a successful training of pet dogs is a dog collar with spikes. 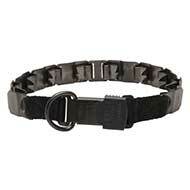 If used carefully, this collar will be the closest to the exposure to the bite by dog mom when training a puppy, or older members of the pack to warn them about their misconduct, and, finally, the spikes will be a tool to control those who want to take the alpha leader position in the community. 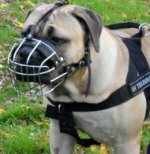 Before using the pinch collar for dog training, a successful owner should explore all ways how it can be used safely and how to apply pressure evenly in each case of the application of the collar. Then you should learn how to wear the collar on the dog. 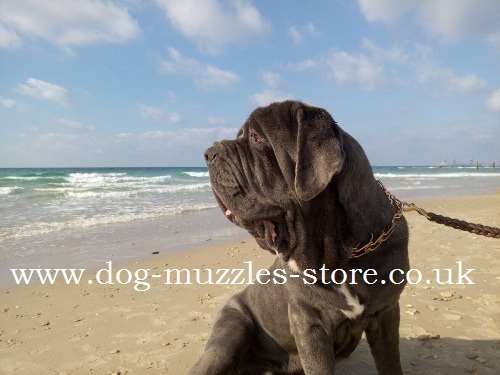 You should choose the maximum thickness of the wire of each level, and the ends of the studs should be dulled so that the rounding does not traumatize the dog's skin. 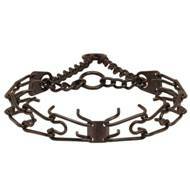 A good thing is that any two units of the collars can be separated, and there are some "quick" types of collars Sprenger. 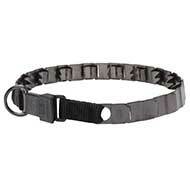 It provides an opportunity to open any collar like a necklace and put it in the right place on the dog's neck. 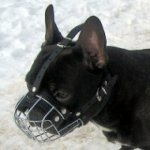 It's quite obvious that you can not put on the collar over your pet's head because you can hurt your dog's eyes. 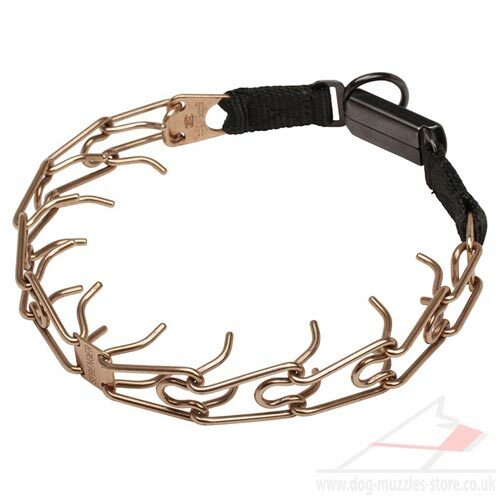 Note: It is important to place a dog prong collar correctly on a dog's neck. Please, look at the scheme. The key to success is to use a prong collar in the right way. 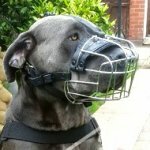 When you fasten the leash to the collar, you connect the two most important training element - your hand and a strict collar. All dogs are sensitive to touch, because it is an instinctive part of their communication. 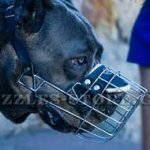 Learn how to touch the dog by the collar with different levels of exposure, and you will surely get the privileges to communicate with the dog like the leader! 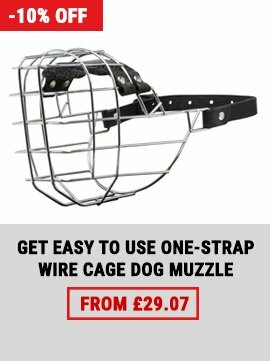 The chain allows you to control your dog behaviour and to say "no" when your dog does something wrong using the dog language! Please do not pull the dog in the right direction on a leash, just let him know that the direction he keeps moving is wrong, control the rate of movement, and behave like a leader. 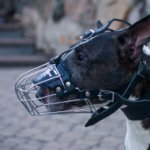 If you use the collar properly and apply force of the required level, you will be able to actually communicate with your dog. It's not the leash in your hand that teaches your dog to go in the right direction, it's the collar. 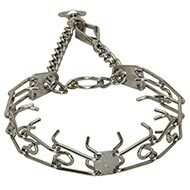 Prong collars Sprenger are recommended by licensed and certified instructors and working professionals. If the collar does not work for you, then you should find someone who is good at it, or an expert and ask him to help you. Most professionals keep the dog at their left leg, and there are many theories why they do so. 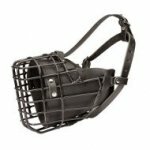 But when the pinch collar is fixed firmly on the dog's neck, there is no specific place where you and your dog should be. 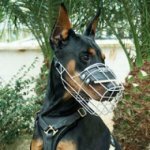 From the moment you start using the collar with a quick-release fastener, or the one that allows disconnecting the adjacent links, there is no right or wrong position of the collar on the dog's neck. The only thing that matters is that the collar should not be too loose or too tight. 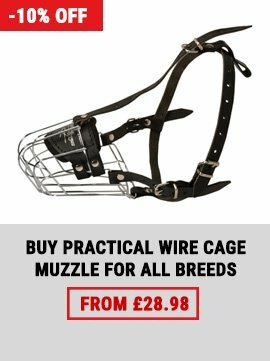 You'd better avoid putting the collar through the dog's head, or you can hurt his eyes. 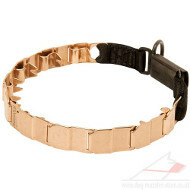 Do not put a strict collar with studs out! The assumption that this collar is felt only when the owner is making an effort is not correct. 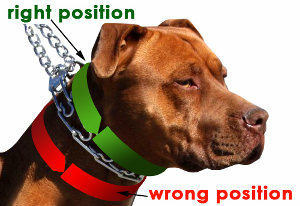 The collar pinches and pricks the dog's neck, which can lead to an injury. Be careful and do not leave your pet with a pinch collar unattended. Vladea Roytapel is a very successful dog trainer. 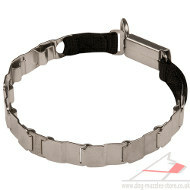 In his dog training sessions he uses prong collars Sprenger, including new Neck-Tech. 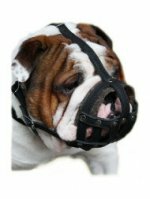 English Bull Terrier Muzzle UK Best Choice!